It’s spring. All kinds of things are happening (me figuring out how to make a blog is not one of them). because I figured deer would eat them. More about the deer later. What I’m thinking about today is the unexpected. 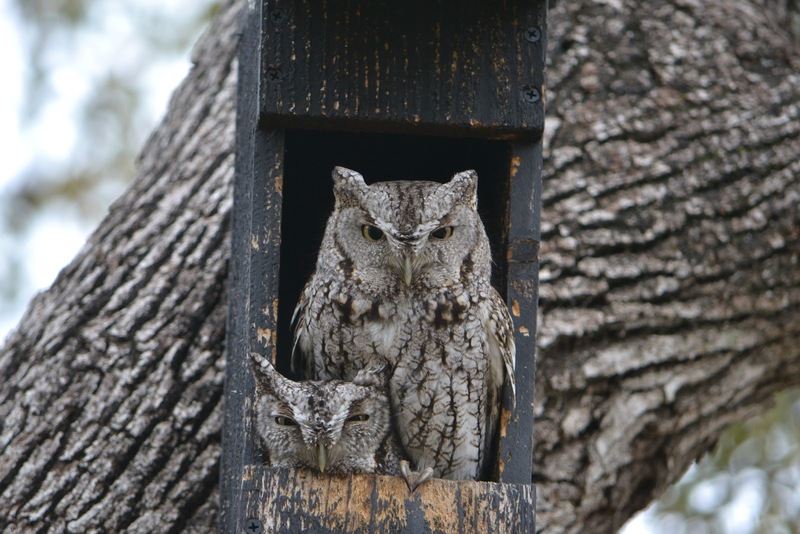 This is the first year we’ve seen both adult owls in the nest-box at the same time. (He is the smaller, exhausted-looking one.) Although we hear their trills every day, and often witness the “changing of the guard” at dusk and dawn, we haven’t been treated to this. We’re looking forward to finding out how they follow-up last year’s triplets. Then there’s the mystery of how you can walk around your yard several times a day, every day, keeping track of who’s producing what. 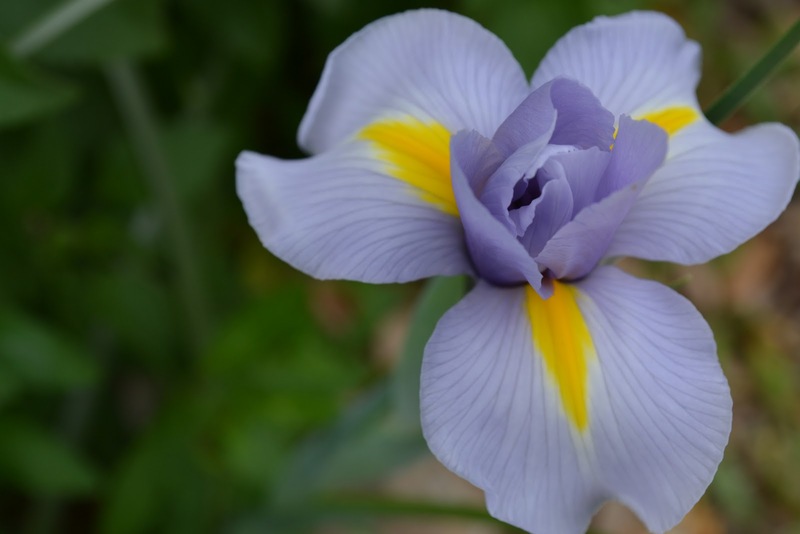 A gardener’s eye is trained to the minute: a bud, a critter, a fleck of mildew. 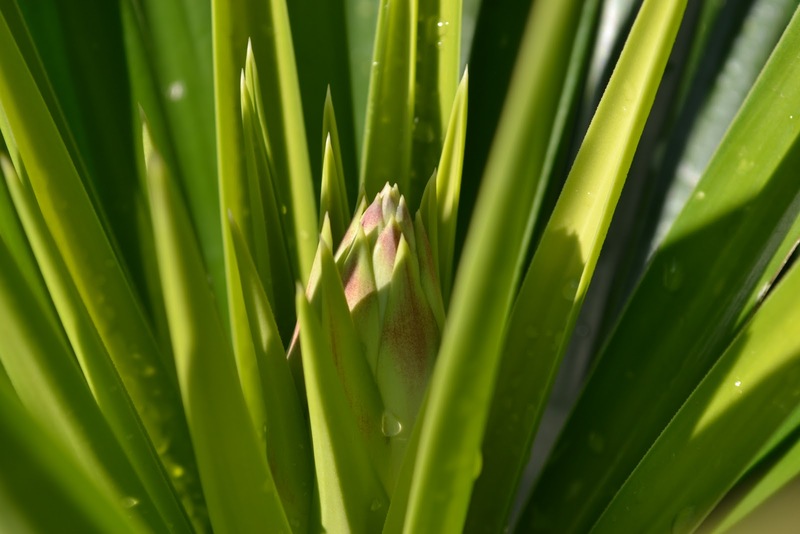 You think the yucca by the driveway won’t do anything but be green this year. 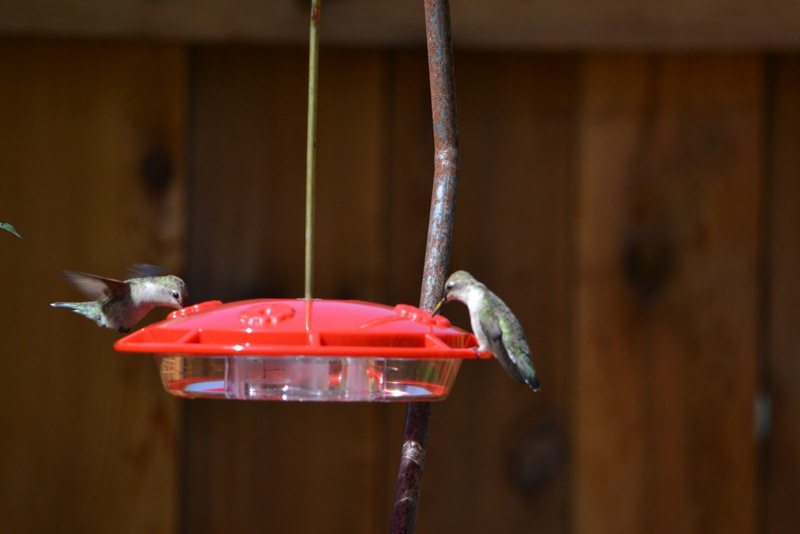 Another first: two hummers at the feeder at the same time. I realize lots of people see this in their yards. Every hummingbird feeder box and video show half a dozen little ones feeding at the same time. But up until yesterday, all I’ve ever seen were little buzz-pilots at war. Maybe it’s a spring for the unexpected.